Backpacker Panda Manali v Manali, Indie: Zarezervujte nyní! Cancellations should be notified a week prior to check in to avoid cancellation charges which will be depend on number of days exceeding the one week notice period. Full payment need to be made for group booking. Backpacker Panda is a newcomer in backpacking hostels. But hey, we have traveled more than 25 countries together to bring you some of the best experiences, you could enjoy'. 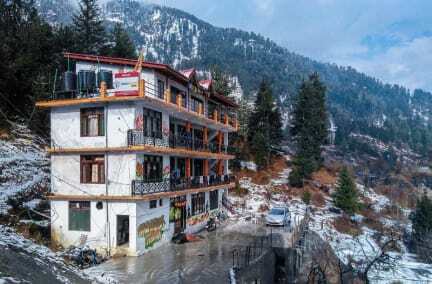 The notion of backpacking in winding hills with snow-capped peaks does not look far-fetched with the new hostel of Backpacker Panda in Manali, which is nestled between the divine Himalayan ranges. 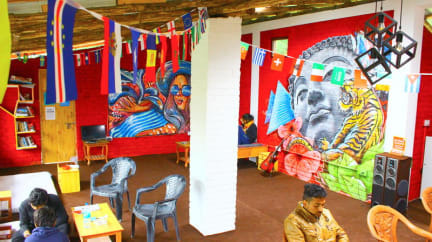 Backpacker Panda, one of the finest hostels in hills, promises to impart an authentic backpacking experience with the hostel which is equipped with all the necessary facilities such as uninterrupted free Wi-Fi, ample accommodation which includes four Double Bed superior private rooms, 1 four Bed mixed dorm, 2 six Bed mixed dorms, 1 eight Bed mixed Dorm and a 6 Bed separate female dorm. The hostel also has a fully functional cafe and ever helpful crew.